The new collection is made with pendants with colored zircons, chains in silver 925 soaked gold and many, many small earrings and colorful, as desired by the fashion of the moment! The necklace for sale is made with gold-plated 925 silver chain with small beads. 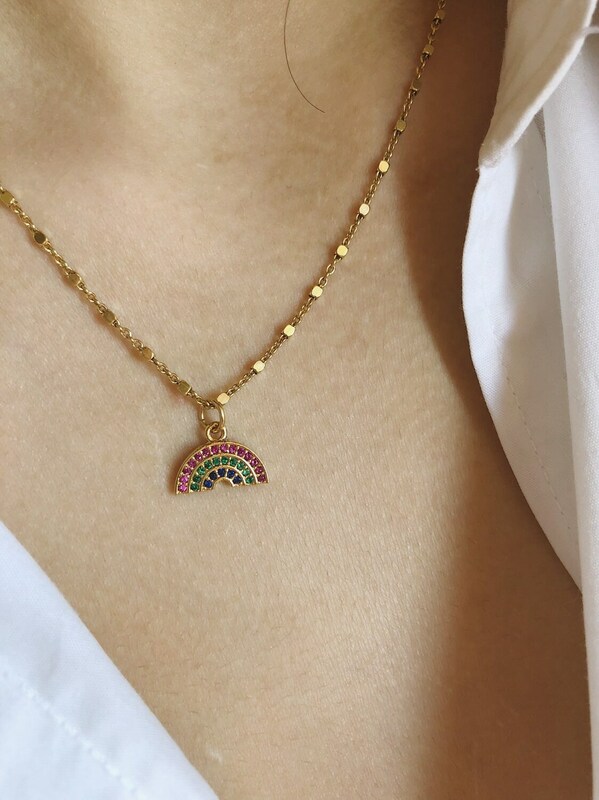 The pendant is a rainbow in yellow gold-plated brass with many small colored zircons.